Natural, unposed, relaxed, wedding photography, tailored to your day. I’m a wedding photographer in Cornwall, Devon And the rest of the UK and have been creating wedding images for the last 5 years. I do this because, I love it. My wedding photography in Cornwall takes a relaxed and unforced approach, documenting the day just as it happens and not staging photographs. My whole approach is to be as organic as possible, just you, me and the camera. No posing, just a story of what happens on your wedding day from start to finish. I create wedding photography how I see it in my head, gorgeous, romantic, full of love and warmth. I make my images as personal as possible, so the story I tell is real, natural and emotive. I like to tell stories. I prefer to favour a more photo journalistic wedding photography approach, standing back and letting the magic happen. I wait, watch and capture every moment of your wedding day, no matter how small. Using just my camera and some of that gorgeous Cornish landscape we have, to capture the most magical moments of your wedding. I create images that have feeling. Images that bring you flooding right back to where it all happened, leaving you with that same warm feeling you had, in that moment. My wedding photography is completely tailored to you. This is your story, I’m just here to tell it. Getting married is one of the biggest moments in life and something to remember for years to come. I want you to remember the day exactly as it happened; full of love, life and laughter, not standing around posing for a photograph. That’s the basis of me being a wedding photographer in Cornwall, telling the story of your most precious memories. From the initial enquiry right through to receiving your edited photos, everything is centered around you and your day. If you like the look of what I do here, and want to know more about how it all works, you can have a look at how much it costs to hire me for your wedding, be it as a wedding photographer Devon, Cornwall, Somerset or further afield, have a look at example weddings in my wedding portfolio, read some frequently asked questions about my work and then if you would like to have a chat about your wedding contact me so we can get planning your special day. I am a massive travel bug it’s my favourite hobby, if you are booking a destination wedding photographer lets have a chat and see if I can help. I love France, Italy, Greece, Santorini and New York just to name a few. I’ve been extremely lucky to be part of the best day of so many gorgeous couples lives as a wedding photographer Cornwall – 2017 was absolutely no exception.  I photographed 42 gorgeous weddings all over as a wedding photographer Devon, Cornwall, and beyond. They were all completely beautiful. As per what is now coming tradition, I’ve done a little round up of some of my favourite memories from the year. Check out my ‘Best Of 2017‘ here. You can take a look at my best wedding photography of 2016 including a slideshow of my favourites. If you’d also like I still have my best of 2015; you can take a look here best wedding photography of 2015 in Cornwall. My Cornish wedding blog contains all the latest stories and adventures being a photographer for weddings in gorgeous Cornwall. The whole site is frequently updated to give you a peek into the latest stories of love I have been documenting in Cornwall, Devon and beyond. I try to update my site with real weddings in Cornwall as often as possible, these galleries feature a huge selection of moments from each day, so you can see exactly what kind of photographs I take at each wedding day, and not just a highlight reel.